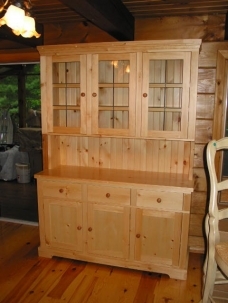 A classic dining room buffet made from white pine. Leaded glass doors in the upper section, recessed panel doors in the lower section with shelving behind. A v-joint paneled back adds even more character.